In 1983 the FIA imposed Formula Mondial on the various Formula Atlantic communities. The aim was to have regional championships with a run-off in the US at the end of the season. Australia played along but in England, it was ignored, as the FIA often was. The North American Formula Mondial championship was just the CASC series again, in disguise. The nine-race series was a battle between Michael Andretti, son of Indy legend Mario, and Brazil's Roberto Moreno. The 20-year-old American was on pole position five times to the Brazilian's four, but Moreno scored more race wins, five to three, including a three-to-one score in head-to-head battles. The points system rewarded reliability and Andretti's Conte Racing Ralt finished more often that Moreno's Theodore Racing/Agapiou car so the title went to the local lad. 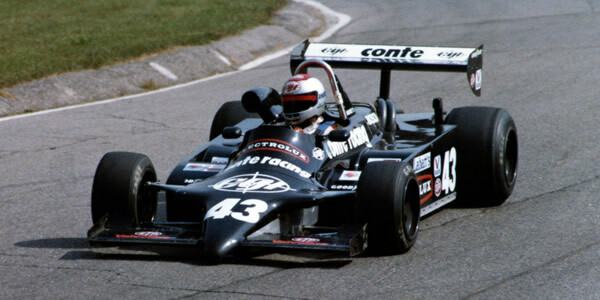 For the Canadian series, the change to Mondial proved fatal and, once the FIA had moved on to some other bright idea, CASC were unable to organise races for 1984 and the series was suspended, never to return. A new series had started on the US west coast in 1983, called WCAR, and this would be the future of North American Formula Atlantic. Of 160 recorded starts in the 1983 series, 118 were in Ralts, 25 in Marchs, none newer than 1981, nine in Tiga FA82s, five in Dave McMillan's Dart 83M, two in an ancient Lola and one in the Johnston JM6b. Such was Ralt's dominance that of the 54 top-6 finishes, 52 were in Ralt RT4s, one in a Dart and one in a Tiga. None at all in a March. Only about a quarter of race starts were in cars built in 1983, the lowest proportion in the history of the series. In November 1981, Jean-Marie Balestre, the President of FISA, was in Macau for the Island's annual motor racing festival and was impressed by the cars and racing. What he was watching was Formula Pacific, a small variation to the Formula Atlantic rules then used by the North American and British championship, and the same as those used in New Zealand and Australia. Within a few weeks, Balestre announced at FISA's Plenary Conference a new worldwide Formule Mondiale championship to start in 1983. Completely failing to realise how the stability of rules and the easily-available Cosworth BDA had made the category so successful for so long, he announed that Formule Mondiale would used 2-litre engines and also a new regulation for skirts that was different to that used in any similar category. It was of course the Japanese who had put the idea of 2-litre engines to Balestre at Macau. In Europe and North America, no suitable engine was available. In the end, some sense came out of FISA and the skirt rule was dropped, and the category stayed with 1600cc engines. However, Mondial did srated from the beginning of 1983 with the North American, Australian and New Zealand series nominally involved, but both the British and Japanese dropped the category at the end of 1982. Australia's series flourished for reasons that were entirely Australian but the impact of Mondial in North America was catastrophic. A few high-budget teams came in for the glamour of a World Championship but they then stepped straight up to CART and the category was left crippled, just as Alpine's short presence in 2-litre sports car racing had crippled that category a decade earlier.